For me, one of the best things about visiting a new city is immersing yourself in its history and culture. As a Museum Studies student, it's unsurprising that I tend to gravitate towards sites of historical interest on my travels, as my visits to York and Salisbury document all too well! 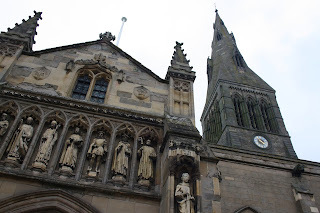 However, instead of adding a new destination to my list this week, I thought I would share some of my favourite historic haunts in my current hometown of Leicester. The lovely Hayley inspired me to create this post with her fantastic guide to Leicester's attractions, foodie highlights and Instagram hotspots, so today here is my recreation of that post with a historical twist. Hop onboard the TARDIS, strap yourself into the DeLorean, or give your time turner a spin, we're in for an exciting ride! The first stop on our time travelling adventure is the Norman period. Not long ago in 1066, William of Normandy defeated Harold II at the Battle of Hastings and was crowned William I of England. Your surroundings are slowly adjusting to Norman rule and the new feudal system imposed by King Wills. Another new addition for Leicester at this time is the construction of the first phase of the Cathedral. Whizzing forward to the 13th and 15th centuries, the Cathedral is further enlarged before the impressive spire is added in the Victorian era. However, the building wasn't officially ordained as a Cathedral until 1927, a year which also brought the world the invention of the pop-up toaster AND colour television. Don't say that 1927 wasn't good to you. In 2018, Leicester Cathedral's most famous resident is arguably Richard III and we don't have to travel back far in time to relive his discovery. In 2015, the body of poor Ricky (sadly missing his feet!) was found beneath a car park adjacent to the Cathedral. 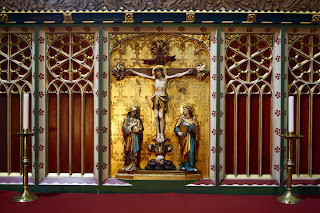 Although he is now interred in the Cathedral itself, having been re-buried with appropriate pomp and ceremony, the circumstances of Richard's death were not quite so majestic. Peer out of our time machine when we reach Bosworth field in August 1485 and a bloodbath would meet your eyes - Richard's army decimated by his opponet Henry Tudor, who was to become Henry VII of England. Richard's death saw the end of the Wars of the Roses and history sure has not treated him kindly. Stopping off in London in 1593 would enable us to catch a performance of Shakespeare's play Richard III, in which Richard is portrayed as a cruel hunchbacked tyrant. 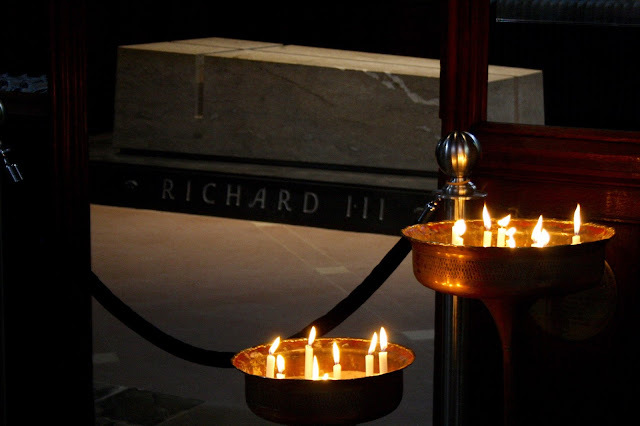 Whether the real Richard's remains corroborate Shakespeare's representation of him is something that the Museum today presents in a very interesting manner, it's a must-visit for any history fans in Leicester. 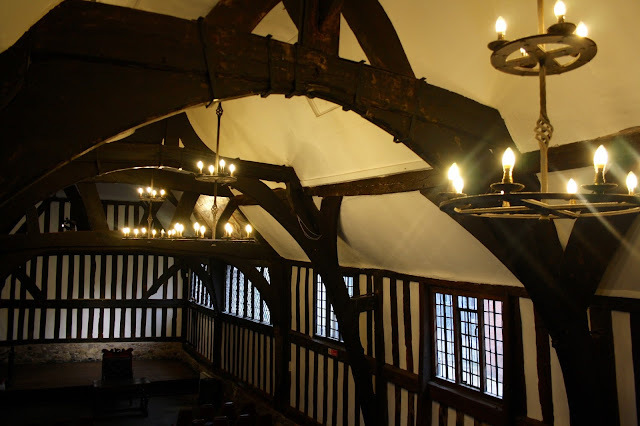 To admire Leicester's Guildhall in its earliest phases, a journey back 600 years is required; it was constructed in around 1390 as a meeting place for the city's gentry and powerful businessmen. As we progress through the ages, the Guildhall moves through several phases of use, a town hall and a library are just two of the ways in which it was used. 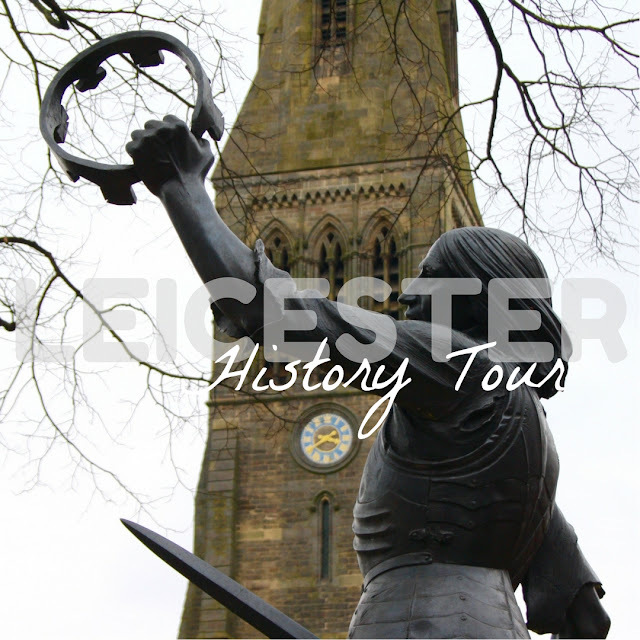 Today it is a monument to Medieval Leicester, although it is also said to be one of the city's most haunted buildings! The Leicester Mercury reported that five ghosts, including a mysterious "White Lady" and a dog, frequent the venue. Perhaps these could be the shades of the unlucky criminals left to rot in the cells here when the Guildhall was used as a prison. Are you brave enough to find out....? 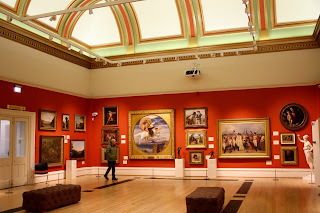 A treasure-trove of historical travels awaits when you enter the New Walk Museum and Art Gallery. 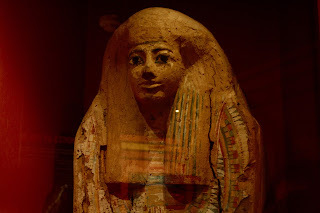 If mummies are your thing, the Ancient Egypt room is an essential visit. As well as entering the realm of the dead, you can gain a sense of what life really was like 5,000 years ago by stepping into a mock-up of an Ancient Egyptian kitchen and handling replicas of the tools used to construct the great pyramids. If that's just not ancient enough for you, the Museum can also transport you back to the lost world of the dinosaurs, where you can come face to face with a friendly Sauropoda dinosaur affectionately known as George, as well as a 16ft prehistoric fish, ready to swallow you whole. 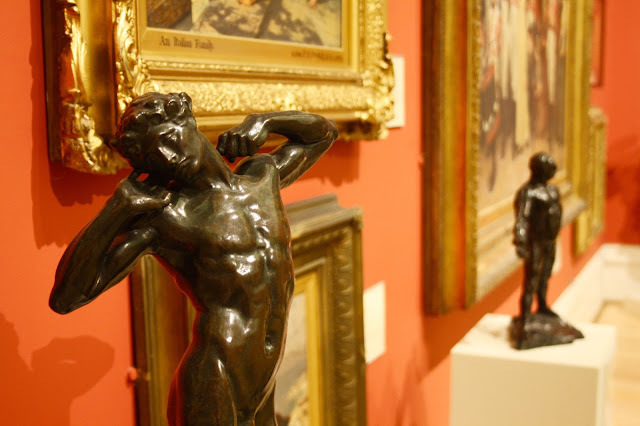 A more sedate walk through the art galleries will enable you to read the tales of ancient Greek and Roman myths as told through Renaissance paintbrushes. A true feast for a historian's eyes! It's 1538. All is peaceful in the beautiful gardens of Leicester Abbey. The monks work away quietly in their religious devotion, tending the gardens and studying their Bibles UNTIL disaster strikes. Despite the efforts of Abbot John Bourchier to save the Abbey, King Henry VIII is unrelenting. In his desire to rid England of any Catholic strongholds after his break with the Pope and establishment of the Church of England, Henry orders the Abbey to be torn down to its foundations. The Abbey was destroyed on account of the charges of "adultery and vice" levelled toward the Abbot and his monks but whether these have any basis in fact is by no means confirmed. The exposed foundations are all that is left of the Abbey today. Visitors to the Park can still trace the outlines of where the impressive church, cloisters and courtyard once stood. 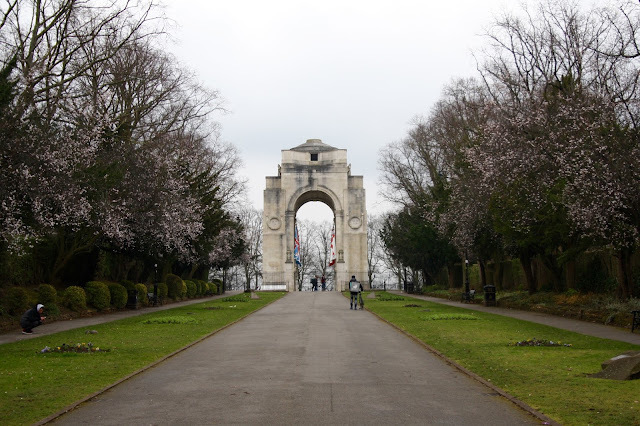 A sombre tale can also be told by Victoria Park's Arch of Remembrance, which commemorates those who died in the First World War. The cenotaph stands at the top of the Peace Walk, flanked by flower beds and trees, which connects Victoria Park to University Road. The University site itself would have looked very different if we were to stop off during the War, it was then a military hospital for men returning from the Western front. Voluntary Aid Detachment Nurses assisted the Royal Army Medical Corps in caring for the wounded there. Leicester also took in many refugees, including a large number from Belgium, during the War. 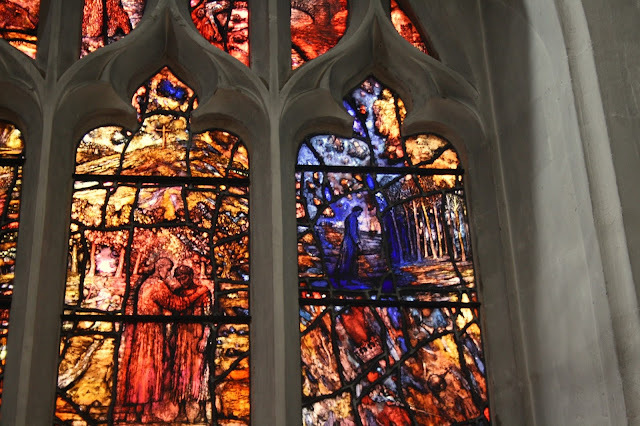 Our historical journey now comes full circle, returning to our starting point at the Cathedral, where the Great East Window forms a tribute in stained glass to the men who lost their lives in WW1. What historical delights does your home city have to offer? Leave a comment below and let me know - I might just come and pay a visit! Meet my March advertisers, you'll love 'em!